Rick and Jordyn Folsen have a lot to overcome, including a potentially problematic pregnancy. 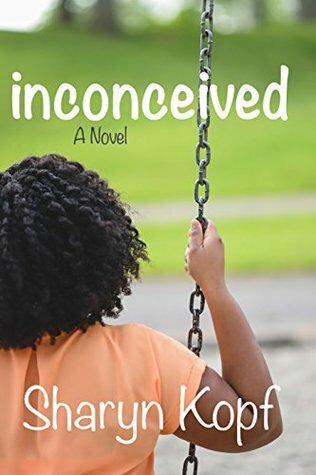 When a job on the other side of the state from their families for Rick, a gifted electrician, becomes available, Rick and Jordyn take a leap of faith to make a home for themselves. Meanwhile, Rick has a chip the size of Boulder on his shoulder breathing his Native American culture expectations in one ear, and making a life for himself and his young wife away from her home in the other. Life is difficult for this young, faith-filled couple, made a little more colorful and joyous by new friends, and a part time bookkeeping job where Jordyn can use her skills. When little Sawyer arrives, more trouble visits…and here’s where Blare’s story cleverly begins and circles around to pick up the pieces. When Rick despairs, Jordyn’s poetry reminds him that love always trusts. A pharmacist by trade, Renee Blare serves her community in Wyoming by day and writes any chance she can get. 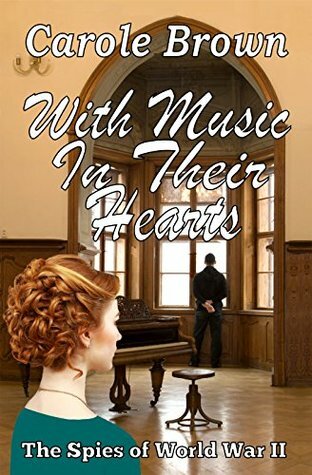 While writing’s her first love, well, after the Lord and her husband, she also likes to fish and hunt as well as pick away on her classical guitar. Nestled in the foothills of the Wind River Mountains with her husband, crazy dogs and ornery cat, she pens her Christian stories, keeping them interesting with action and intrigue. Renee loves to interact with readers and invites you to visit her website, blog, and social media. Across the river from Cincinnati, Ohio, a spy working for a foreign country is stealing secret plans for newly developed ammunition to be used in the war. According to Tyrell’s FBI cousin, this spy favors pink stationery giving strong indications a woman is involved. Tyrell is instructed to obtain a room in the Rayner Boarding House run by the lovely, spunky red-haired Emma Jaine Rayner. Sparks of jealousy and love fly between them immediately even as they battle suspicions that one or the other is not on the up and up. Tyrell works to keep his double life a secret and locate the traitor. He refuses to believe that Emma Jaine could be involved even when he sees a red-haired woman in the arms of another man. Could the handsome and svelte banker who’s also determined to win Emma Jaine’s hand for marriage, be the dangerous man he’s looking for? Is the trouble-making renter who hassles Emma Jaine serving as a flunky? Worse, is Papa Rayner so worried about his finances and keeping his girls in the style they’re used to, that he'll stoop to espionage? Ms. Brown’s historical novel is a delight. The book adds a twisty dimension to the WWII spy game that isn’t often considered from the US war-time arena. Yes, there were spies in the US, stooping to betray their country and sell information to our enemies, creating a new level of mistrust when these traitors could be our next-door neighbors, or even family members. When a young pastor tries to enlist but is turned down for head-scratching reasons, his debonair, fun-loving cousin comes to the rescue. Or was this all part of some elaborate plan? Tyrell Walker gets to serve his country after all, just not on the European or Asian fronts. With his cousin Ben’s contacts, Tyrell is pulled into the underworld of espionage and given orders to find out who is selling secrets. He is given a position as a church pastor and a room in a boarding house which the government believes hides their target. Nearly every boarder, from the spunky elderly Miss Gertie, to the aspiring catty actress, the couple who always argues to the banker who seems to have a lot of late nigh crises at the bank, not to mention the owner of the boarding house who’s falling on hard times, is a potential spy. Tyrell has his work cut out for him, but his heart is truly in God’s corner and the pastorate is not just a cover. 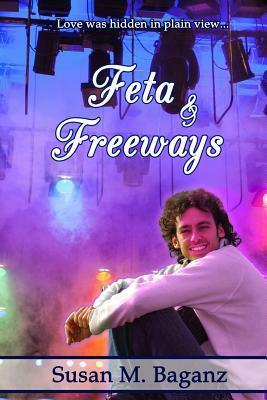 He is God’s servant first, an undercover agent second, and falling in love with his landlady, Emma Jaine. Can he keep all of these pieces of his life in control, or will he let his heart overrule his good judgement? Brown uses period clothing, lifestyle and a lot of slang in her tale of life Stateside during the perilous era of World War II. Told in multiple viewpoints, the story opens with action, clues, and faith that God is in control during an era gone amok. 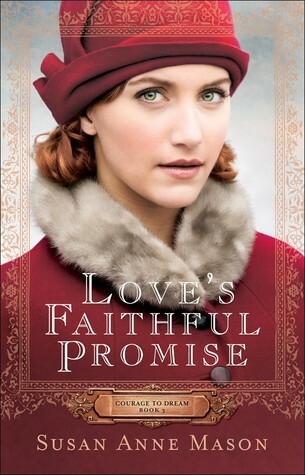 For those who like inspirational period historical novels with lots of romance, relationship issues, and 1940s culture. Discussion guide included. When ISIS turns your city into a living hell… ISIS unleashes a reign of terror across Indonesia. As a former jihadist, Abdullah knows all too well the high cost and absolute ineffectiveness of fighting such violence with violence. He accepts the impossible challenge of finding the ISIS cell hidden in his city, and disbanding it non-violently. But time is running out, and there may not be any city left to save. Meanwhile, he has to protect his adopted daughter Sari, a Christian university student, who is one of ISIS’s targets. Together they come face-to-face with the holy warriors of mass destruction and strive to overcome that evil with good. In this riveting sequel to Someone Has to Die, Jim Baton introduces us to the real people caught in the web of terrorism, with their wide variety of backgrounds and motivations, and the possibility that they, too, can change. Baton has racked up an impressive amount of endorsements for his very fine work, Someone Has to Die and A Way Out of Hell, including a former congressman. Although I trip but am willing to reason over his website declaration that Christians and Muslims worship the same Father, I can read his fiction and appreciate his craft for sharing a story that is frightening realistic and full of possibilities. A Way Out of Hell is a sequel to the 2012 story, Someone Has to Die. Both are set in Indonesia, a heavily Muslim country, but one actively fending off radicalized Muslims who promote one world extreme sharia dominance through acts of murder and terrorism. Obviously portraying the fascinating setting and culture in a natural manner draws in a reader unfamiliar with this part of the world. A sympathetic peacemaker who sees and acknowledges his human flaws, the societal failures and resulting loss of his family through divorce and murder, Abdullah makes his purpose one of not giving in to hate and cruelty; to look beneath the reasons and meet needs in a positive way that is able to turn and pass it on. The back cover description shares the story. My review is simply that the writing is stellar, the story riveting and excruciating and occasionally embarrassingly true when Baton showcases who is willing to risk peace at all costs and who doubts it can be done. This is the ultimate lesson in meeting extreme prejudice head-on and refusing to blink. Baton makes me believe. Told through multiple characters, A Way Out of Hell is a lengthy but page-turning, cringe-worthy tale of extraordinary people in an alien setting, whether native or guest, forging peace and brotherhood without thought of price. Jim Baton (pen name) has spent the last 20 years living in the Muslim world, where he’s been involved in a variety of peace and reconciliation activities including interfaith dialogue, training elementary through university students in peace principles, and bringing Christians and Muslims together to pray. His real name and photo won’t appear on this site to protect his identity from radical groups where he lives out his faith. When in America, Jim is available to speak to groups that have a heart for loving those of the other religion and can protect his identity. Jan, welcome. Tell us what do you love about this book. 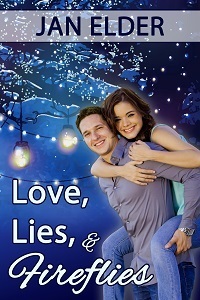 Seven (long) years ago, I started to write my first book, Love, Lies, and Fireflies. I loved the process of dreaming up exceptional characters with unique personalities and it kick-started my creative juices. Creating characters with hardships and major flaws, just like real people, was something I really wanted to achieve in an entertaining way. And what was most important? Making sure that God showed up as a central character—without being preachy. That will always be a passion for me. One of the most wonderful aspects of writing this book, though, was that I could slip parts of REAL people in there. The hero, Jake Montgomery, is a lot like my dear husband and the heroine, Didi O’Brien, has a lot of me in her. In the novel, Didi’s father passes away many years before the book starts and my own amazing father died in 1992. I made Didi’s dad a lot like my own. She has wonderful memories of sweet times spent with her father, and so do I. In fact, the title of the book has a lot to do with her daddy. I feel pleased that by including him in my book, I can honor my father in this special way. Cool! That is an awesome tribute. I doubt I'll ever publish my first book, but every once in a while I pull it out and glance through it. Introduce us to the easiest character to work with. That would have to be Jacob Scott Montgomery, a.k.a. Jake the easygoing introvert with the word “hero” stamped on the back of his tee-shirt. Seriously, though, he’s a good guy who’s had some real tragedy in his life, but he’s determined to make it through. On this unseasonably warm evening she was wearing cream-colored slacks and a petal-sleeved, burgundy, flowered top. Jake had remembered her as being cute, but this evening, his date was downright beautiful. They moved into the living room as the cat from the window scampered into the room. “Definitely not allergic. I have a cat of my own.” He squatted down and extended his hand to the calico. “My, you’re pretty.” Maisie sidled up to him, rubbed her face against his leg, and fell in a happy heap at his feet. Doubtless, it was because his hands still smelled like the catnip he’d just given his own cat, Lucy, but there was no need to share that information with Didi. Jake hoped to have Didi batting lashes at him soon, but for now, winning over her cat was a good start. Sounds like a guy you’d like to take home to mother, doesn’t he? Definitely! Share two things you learned during either the writing or publication process of this book. Everything takes longer than expected but you make some wonderful friends along the way. And speaking of friends, in the Christian world, publishing is not only about what sells, but also about how to get the word out there that God loves us unconditionally and He wants to have a real, exciting, personal relationship with His children. If we are all focusing on this truth as a team, nobody loses. I am blessed to work with so many remarkable authors who feel the same way. This story certainly didn’t disappoint! The characters were engaging and well developed. In fact, they practically came to life and jumped right off the page. 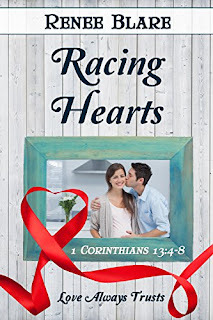 On the surface, this was a romantic tale with a suspenseful twist, but on a deeper level, this story explored the love of God and many other Christian issues. As the story unfolded, it discussed the complexity of dating relationships and the consequences of certain choices. I appreciated how the author gave the characteristics of abusive relationships and explained how a person could get out of one. I also appreciated the emphasis the author put on God. I thought this was a truly wonderful book. 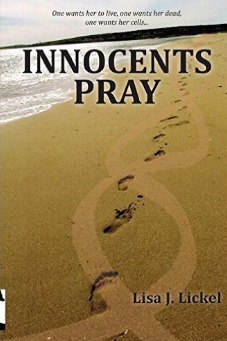 It had romance, suspense, and a beautiful, redemptive message. I’m looking forward to reading more books by this author. I’m SO glad you asked that question. I stayed up until 3:00 a.m. this morning reading an advance copy of YOUR new novel, UnderStory. That’s another cool thing about being an author—getting to read some stellar books before anyone else! Blushing...Thanks, Jan. What's next for you? Rev. Samantha Evans lands in Moose Creek, Maine, where parishioners chew up new ministers for breakfast. Happily, she also reunites with forest ranger Eric Palmer, her best friend from her teenage years. 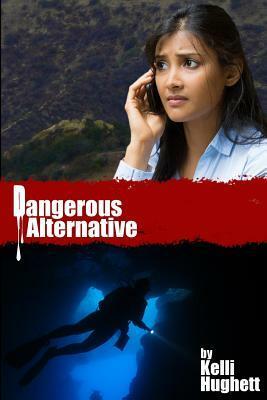 With Samantha’s career on the line, Eric must save her job and rescue his own shattered heart in the process. But where does Matilda the moose factor in? At the moment, I am writing book 2 in the series, tentatively titled Moosed Opportunities. Lots of fun! That does sound like fun. Can't wait to see it in print. I've got Love, Lies, and Fireflies on my list. Watch for a review! Society of the L.A.M.B. : Love. Authority. Mercy. Boldness. 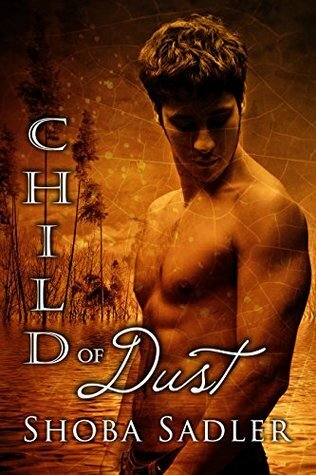 In a raucous colony of those who celebrate dark desires, Josiah and other LAMBers who believe King Glory lives are hunted and imprisoned…or worse. But hope and truth endure in the midst of total danger. After fleeing the colony, Josiah finds light and hope at his grandfather's house, where a secret gathering of LAMBers have escaped the watchers. After learning of the power of the shout within himself, Josiah is chosen to carry the truth to others. But how can he return to the colony without being captured and put to death? The shout cannot be denied. Josiah knows his mission. I honestly didn’t know what to think the first time I read this book. On the second reading, I wondered if I knew this place, this too-near, impossible, frightening future when Christianity is forced underground and grunge rules. Not if, but when. DuCharme paints a grim picture of a time when active persecution against authority or show of faith is taking place in America. The persecution doesn’t even stem from a cohesive structure or face, but is a pervasive mentality which is somehow more frightening. It’s easy to fight something that has a name. Faith never dies, but emerges more determined than ever to show itself through Love that conquers, Authority over evil, Mercy toward the undeserving, and Boldness of witness. A small but growing group of faithful Christ-followers are determined to retake their lives and battle near anarchy. Under the wing of the newly-awakened Josiah who returned to the fold of his grandfather, those who hear and practice the Shout gleefully strip the Over Garments of chaos and restore colonists, when possible, to Jajireh. With the help of an amazing angel band who has just as much joy overcoming every obstacle the evil one sets up, the Lambers rescue the kidnapped and retrain the near-lost. Told mostly from Josiah’s perspective, the Society of the L.A.M.B. is sure to spark great conversation. Judy, tell us what you love about this book. What I love about this book is that it deals with today even though the idea formed several years ago. At the time it was, in my mind, a scenario far in the future, and it seems closer every day. I also love that it gives practical truths on how to be strong in the Lord on the inside, which is my heart. It's not enough to know that...we need to walk it out, and I love that it can be done in a novel, not just non-fiction. I honestly felt that way too. Thank you for sharing your thoughts in this story. Can you tell us some things you learned on this publication journey? Because, this was the first novel I wrote, I learned so much about writing, about letting go of wordings and giving words and scenarios more clarity. I also learned that it's a longer process than I first imagined, but that it's worth it. I still am learning how to market as it's a whole different skill set. I didn’t guess this was your first book, thought I knew it had been published previously. We never stop learning and growing. What are you working on next? What's next is the publication of my novella, Run With the Wind, and short story Christmas Ivy, both in November. I'm currently working on the Hall of Fame Edition of the Cheesehead Devotional. It will be out for the 2017 football season. I'm praying for the publication of my second novel, Blood Moon Redemption. And, I'd like to finish another novel that I began a while ago. Plus I'm working on a short piece for Guideposts right now. And then there's hiking, and family, and church, and life :-). Exciting! And Run With the Wind is a cutie story. Thanks, Judy, and best wishes. Judy DuCharme is a retired fifth-grade teacher (22 years at Gibraltar School in Fish Creek, Wisconsin, with an emphasis in science), former Christian radio announcer, Bible study teacher, speaker, author, and a great fan of the Green Bay Packers. She obtained her B.A. from Michigan State University in Communication Arts and her teaching degree through the University of Wisconsin-Green Bay. Judy s passion in all she does is to see people strong in the Lord and the power of His might. 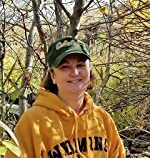 Her first published book, The Cheesehead Devotional earned her the Best New Writer Award (2013) at the prestigious Write-to-Publish Conference. Judy lives in Wisconsin with her family. 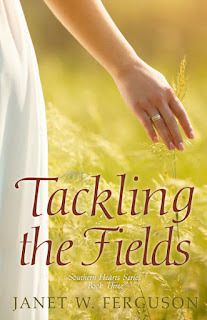 Congratulations to Janet W. Ferguson and the novel Tackling the Fields for taking home this month's Clash crown! We're pleased to feature this guest post, which gives us a little insight into Janet's book and football...yes, football!